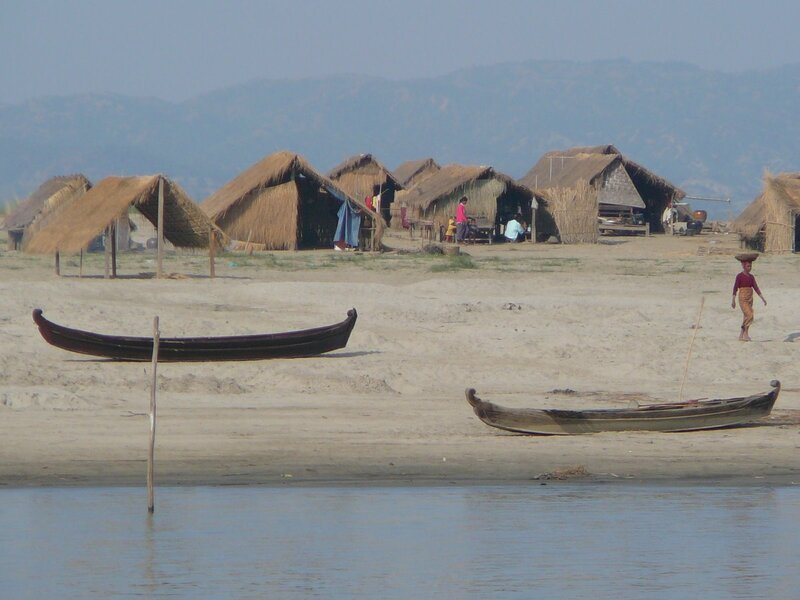 As we continue to quietly sail down the Irrawaddy River we pick up more information about Burma. 1. The Irrawaddy River rises 50 feet in the rainy season. In the delta region it can rise 200 feet. 2. Many villagers on the banks of the river have to move their homes, their belongings and their livestock every 6 months. Then they return a few months later when the rain stops. 3. 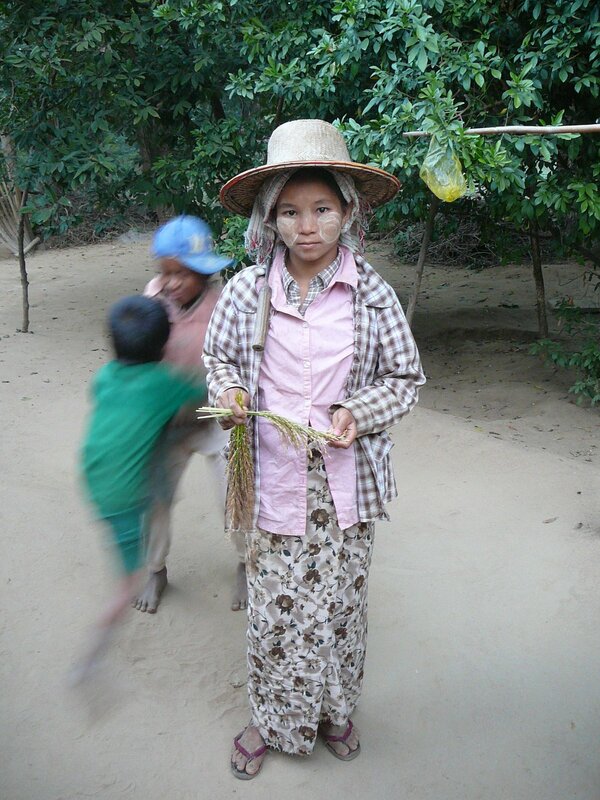 60% of the population of Bagan works in the tourist industry. 4. The tourist industry is down by 80% this year, and some say it is down by up to 90%. The people of Bagan are really hurting, as is the rest of the country. 5. On our one hour drive back from Poppa to Bagan, we saw exactly three other cars. 6. We have been traveling for 9 days now and have seen very few monks. 7. Many workers who we talk to in the tourist industry, tell us directly that they hate their government. 8. There is a pension for people over 65, but it consists of a few dollars a month, and no one can live on it. Consequently yet another burden is placed on the workers – they have to support their parents in their old age. 9. A phone line, believe it or not, costs $5,500 to install. A cell phone costs over $2000 and can only be bought on the black market, which in this case means buying one from a government employee. 10. Electricity is cheap, but who cares, if you can hardly ever get it. 11. Men and women of all ages wear a skin cream made from the bark of the Dhanakhar tree. It protects from the sun, and helps against acne and wrinkles. 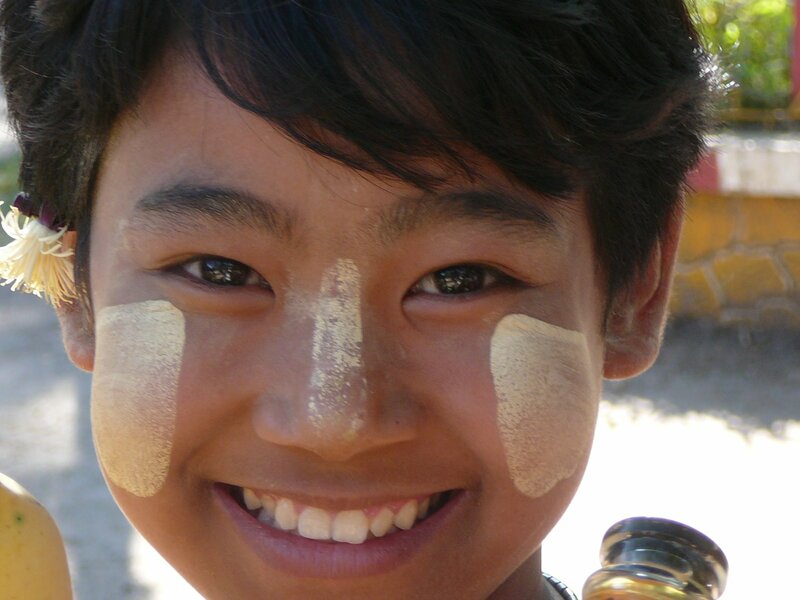 It is a yellow color and the women and children paint it on to their faces every day. When boys get old enough to feel self conscious, they stop wearing it in the day time. But most everyone, including the men, put it on at night. 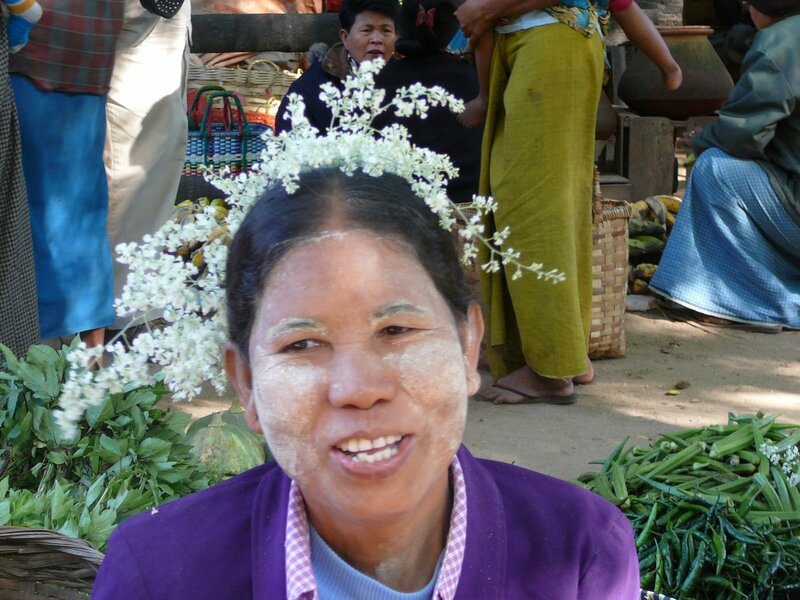 We have been commenting that the Burmese have wonderful skin, and if this is the reason for it, we have to get some! But maybe it’s too late! This entry was posted in Bagan, Burma, Irrawaddy River, local residents, Myanmar, Poppa, travel guide, travel review, travelogue. Bookmark the permalink.